It’s almost Farmers Market kickoff time for 2018 in Nashville, and after a long winter of grocery-store produce, it can’t come soon enough. Nashville is, thankfully, flush with neighborhood farmers markets, so no matter what part of the city you live in, there’s likely a local market minutes from your home, with local farmers and artisans sharing what they grow and make, usually on a weekly basis. There’s also, of course, the Nashville Farmers’ Market downtown, open every day year-round, with a slew of vendors and top-notch independent restaurants on-site. We hit that plenty too, but our smaller neighborhood markets are a mix of convenience and community that we’d find it hard not to love and look forward to. 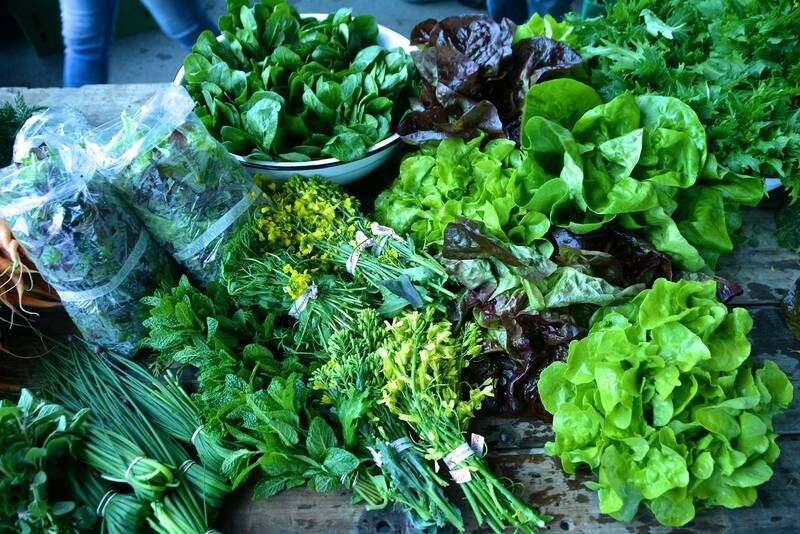 New to Nashville, or otherwise not sure of where your nearest neighborhood farmers market is? Here’s a quick collection of some of our favorite Nashville farmers markets, with the when and wheres you’ll need to make them part of your weekly routine. Locked down weekly in Shelby Park, the East Nashville Farmers Market has lots of events and additions throughout the year — from live music to free yoga — alongside a healthy collection of vendors sharing food grown or raised within a few hours of Nashville. You’ll routinely see all kinds of seasonal fruits and vegetables, farm-raised meat, fresh-baked bread and lots more, and food trucks are usually on hand too, so you can make a shopping-and-dinner thing of it. When: Wednesdays, 3:30 to 6 p.m.
Donelson residents are proud of their neighborhood farmers market, and they should be — it was launched in 2012 because neighbors wanted their own local farmers confab, and it’s grown into a really popular producers-only market, with farmers and artisans offering fresh produce, local honey, handmade soap, locally roasted coffee and much more. They’ll have a new location for the 2018 season that sounds really fun: the historic and beautiful Two Rivers Mansion, close to Briley Parkway and the Two Rivers Park greenway. When: Fridays, 4 to 7 p.m.
Sevier Park is a jewel of the 12 South neighborhood — gorgeous green space right in the middle of a busy, walkable area. 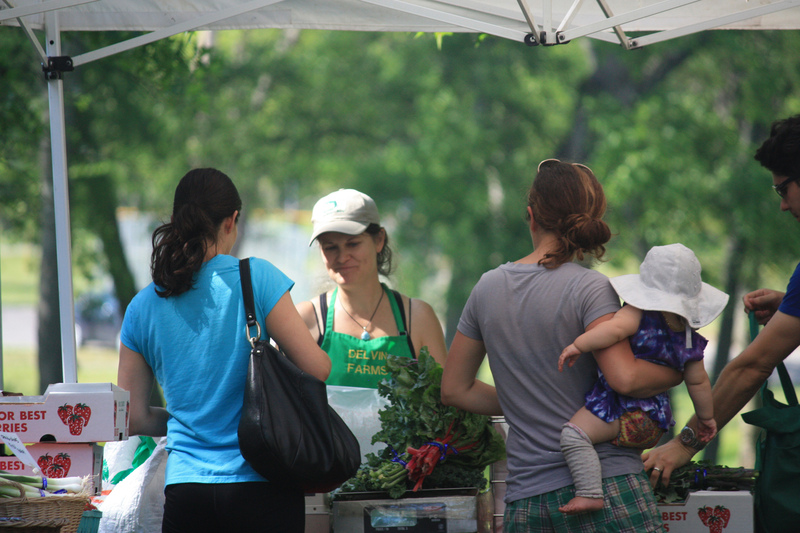 It’s also a perfect setting for a weekly farmers market, which the 12 South Farmers Market folks make the most of. Through the season, you’ll see fun, fruit-focused festivals, live music, story time for kids and, of course, lots of local producers and makers sharing their wares. When: Tuesdays, 3:30 to 6:30 p.m.
West Nashville residents who love local farmers markets are particularly lucky: The Richland Park Farmers Market — easily accessible for residents of The Nations, Charlotte Park, Ashland Place — makes an ideal Saturday-morning routine, and the market runs all year, with a winter market covering January to April, when most neighborhood farmers markets are hibernating. Held in Antioch at the Southeast Community Center, the Southeast Nashville Farmers’ Market has a shorter run than most of Nashville’s neighborhood markets, going June through September. All the more reason for locals to take advantage while it’s there — it’s stocked with handmade, homemade and homegrown products each Monday, so you’ll have fresh stuff to cook all through the week. When: Mondays, 4 to 7 p.m. Since so many folks we know work in Nashville but live in Williamson County, we didn’t want to leave that area out. And the Franklin Farmers Market is a testament to how a small, local market can grow and thrive: It’s started in 2002 with just eight farmers and a summer-only schedule to a year-round thing, with over 70 farms participating, offering local vegetables, fruits, meats, dairy, herbs and more. When: Saturdays, 8 a.m. to 1 p.m. Looking for a new home in any of these neighborhoods, or other areas in or near Nashville? Let us know if we can help — reach ACRE here, or start your Nashville househunting process by filling out this quick form.